My story has been published in F&SF for the March/April 2019 issue. I’m so happy about that. An old jazz-playing faun has the chance to get back everything that was taken from him a hundred years ago, if he can take it from his only student. The story has Jazz, Mentoring and Hope as themes. It also asks the question: how do you change your own life? 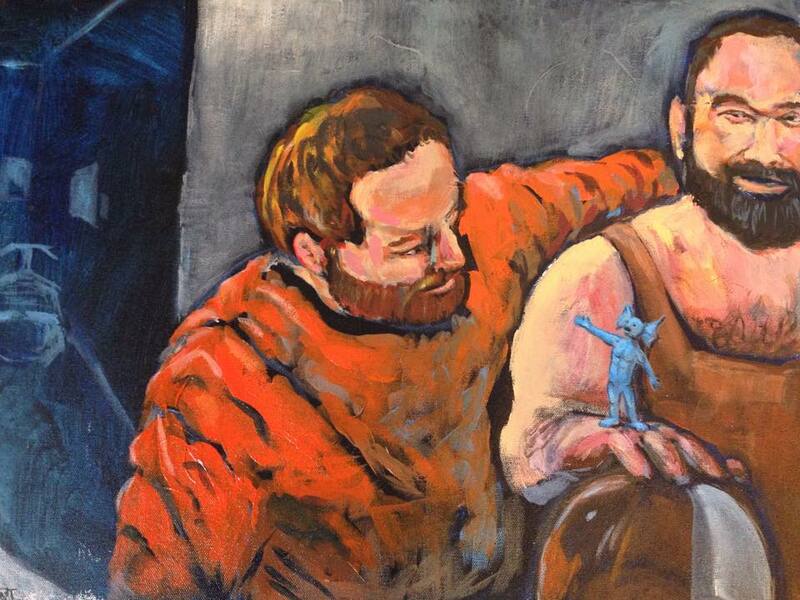 My two characters, a young college football player who wants to become a jazz musician, and an old faun who just wants to be a part of the world again, struggle and fail and attempt again this massive turn in their lives, together. At one point, one of the characters says, “I feel like I’m this tiny tugboat trying to turn this massive life around.” And that’s one of the questions I wanted to pose–how do you do that? I hope you find these characters as inspiring as I did. I mention an organization I used to work for in my twenties when I was at the University of Missouri-Columbia, the Traditional Arts Apprenticeship Program under the Missouri Folk Arts Program. An example of their work is here–pairing two musicians together, a master and an apprentice, much like Mr. Dance and Eric in the story. As most people know, on June 1st, Netflix decided not to renew Sense8. Fans of the Wachowski Sisters + J Michael Straczynski show, a show that weaves a global narrative to tell a very human story of eight people sharing their minds, knowledge, and empathy, were devastated that the story would not have a third season. Many knew that it only had one more season of story, but Netflix decided not to renew. Then the fanbase rallied and wrote and tweeted and called out! and helped show-writers garner a 2 hour special for Sense8! Amazing! I am so happy that we get 2 hours to wrap up Sense8, and don’t take this blogpost here as less than gratitude for that 2 hours. But I’d like to make a bigger case for you–a case you haven’t heard–about giving Sense8 a whole season based on what might be good for Netflix, not just for fans. While there has been speculation as to why the show was not renewed, that’s speculation. Netflix spends a lot of money trying to find hit series, and sometimes a good series doesn’t find the right market. When the cancellation happened, there was plenty of anger towards Netflix, and, in the moment, I even threatened to dump Netflix. But I love Stranger Things, and I watch Star Trek, Daredevil, Luke Cage, etc. It would be hard for me to dump Netflix for good. I know, they’re counting on that–they’ve made us LOVE this service. Okay. Ultimately, right decisions aren’t made because of negative consequences but because the positive consequences are stronger. We aren’t charitable because of Fear of Hell or Fear of Bad Publicity. We are charitable because we want to help. 1. NETFLIX IS COMMITTED TO COMPLETION: Sense8 has exactly ONE more season. It’s a three season arc. You renew that last season, you are a hero, and the story is complete, and people bingewatch the three seasons for years afterwards on Netflix. They will come to Netflix for those three seasons. You’re not having to commit to an unknown number of seasons, or risking anything AFTER this season. You already committed two seasons and they were amazing, and fans loved them, and they are almost home-free. You create NEW fans by following through on your series. But MORE people will become afraid to watch or commit to a new series if the series could be cancelled before it’s finished. The more unfinished series, the more Netflix becomes untrustworthy for a new viewer. The positive spin: you complete series, and they can be assured that when they watch a series on Netflix, especially with the millions of fans this series has created, that it will have closure–that series runners will know ahead of time that their series must establish closure. This one is close to being finished. 2. NETFLIX EDUCATES ITS VIEWERSHIP ABOUT VIEWERSHIP. You teach Netflix viewers about Viewership using Sense8. Part of the shock of this announcement was that viewers thought that their fan base was enough. We don’t get to watch the Viewership numbers like you do, so we can’t tell when to rally, or how we’re doing, or if we’re about to fall. It’s a bit unfair to a very large group of fans to say that their numbers are not enough. What kinds of viewership help make your decisions? Do you need a certain number every week? And how do you calculate when you drop 10 episodes over a weekend? How many times should we view it? How many tweets do you need? How many blogposts analyzing the show? If you give us those numbers, WE CAN HELP SAVE THE SHOWS WE LOVE. I guarantee that the fanbase for Sense8 is the most dedicated fan base you’ve ever had (more on that below). But telling us to love a show and then, when it’s not good enough, taking it from us without telling us how to celebrate and support it correctly can be very bad in the long run–it leaves a bad taste in fans’ mouths. Netflix needs to teach its viewers what matters to save a show–how can we love a show enough to keep it if we don’t know what you need? If not, fans won’t try a show till a second season is guaranteed…or may just not try it unless you do what you did with The Crown, and guarantee 6 seasons to tell that arc. I’m late to announce this, but no less thrilled. On May 29, 2017, the Sunburst Award Society revealed their longlist for novels/short stories in the running for the Sunburst Award. 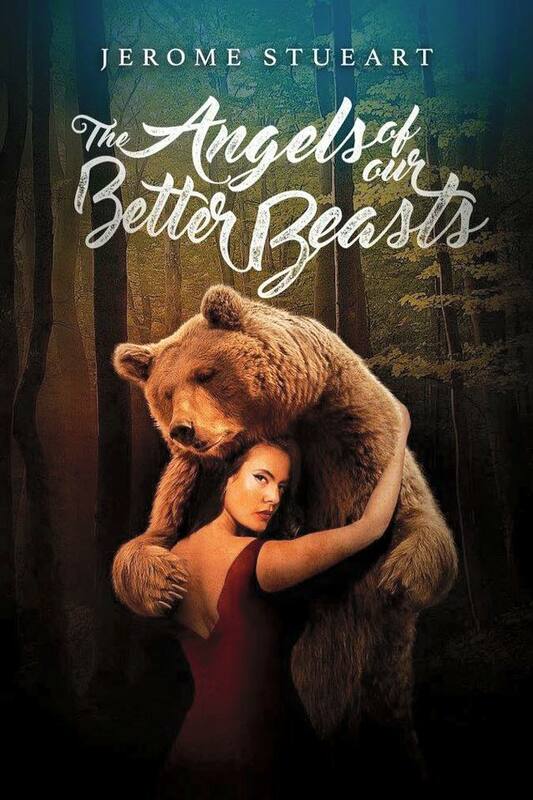 The Angels of Our Better Beasts was on it. Well, I was completely taken by surprise, and deeply honored at the same time. A friend told me “Congratulations!” and I had to ask why. I quickly went to the website to see. The list is full of amazing works by writers in Canada–and there I was among them. The Sunburst Award is given for “excellence in Canadian literature of the Fantastic.” Five judges read all the submissions and make their longlist. Later they will make a short-list of about five works per category, and in September, they will announce winners. I’m so stoked even to make the longlist with my debut book, that I’m going to revel in this for a long time! I want to buy all the other books in the Adult Fiction section and read them! And put them on a little shelf in this order, because I’m cheesy that way. And because, if you like great lit of the fantastic, you’ll love what’s on this list Sunburst has made for us. Thank you, Sunburst Award Society, for making lists like this, for loving literature of the fantastic, and especially, right now, for choosing my book for your longlist. It means a lot to me as both a writer and a Canadian. I would like to see Martin Luther King Jr.’s “Letter from a Birmingham Jail” (1963) added to all new Bibles. I don’t propose this lightly. Three times in the Bible, in three different places, listeners (and they wouldn’t have been readers) are exhorted not to add to, or take away, from specific books. One is about Revelation, one is specifically to the Israelites in Deuteronomy to listen to the law, and the other is in Proverbs: “Every word of God is true….do not add to his words, lest you be proved a liar.” I think it’s safe to say that I won’t propose adding any new words of God to the Bible. I’m advocating something less radical. If we can have letters from Paul, we can have letters from Martin. Write with Me at The BRAINERY workshop! Would you like to write a few stories this summer and work with me for ten weeks? The Brainery Workshop has several spots still open to work with me or Valerie Valdes in times that are convenient for you! EVERYTHING IS ONLINE. So you can participate no matter WHERE you are in the world, as long as you have a good internet connection. We get together once a week and work on your stories. We also go through Ursula K. LeGuin’s workshop guide, Steering the Craft, and we use the Jeff VanderMeer and Jeremey Zerfoss’ Wonderbook. We’ll also be reading stories from Lightspeed and other magazines. Come join a small group online—using GoToMeeting and WetInk–to create a great place for writing! Want to know more? : Follow this link to the BRAINERY WORKSHOP. Back in 2009, Charlie Jane Anders published a nifty blogpost on io9 in the midst of the BSG finale, last of the LOST episodes, and after the aftermath of Heroes, about how NOT to put religion in your science fiction. Things she was tired of seeing, but also things she believed you might also be tired of seeing. The blog post still feels relevant, though you can argue her points. It challenges us to come up with ways to avoid putting faith in science fiction badly. Try putting one of your “deadly sins” of putting religion in science fiction (or fantasy) in the comments section here–and let’s see if we can come up with our own version of this list. 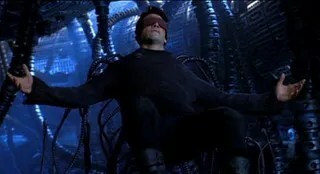 The 7 Deadly Sins of Religion in Science Fiction. Religion is a huge part of science fiction – and it makes the genre better and more fascinating, as Battlestar Galactica proved. But there are seven mistakes SF should avoid in portraying the spiritual realm. BSG wouldn’t have been nearly as epic if it hadn’t included spiritual themes from the beginning. The inclusion of religious elements added a way bigger scope and grandeur to the story of humanity’s last remnants struggling to survive – and it was realistic, since you’d expect people to be asking the big theological questions in that situation. In general, religion and spiritual topics are a huge part of science fiction – if you’re really determined to avoid them altogether, you’re probably stuck with a few golden age novels, and a handful of Lost In Space reruns. But just like other science fiction elements, like first contact, time travel and space battles, science fictional religion can be done well – or it can be cheesy and weird. 1. The cargo cult. Yes, I know, the gods really must be crazy. But I’m really sick of stories about primitive peoples who discover high technology and start worshipping it. Or the descendants of high-tech people, who have become primitive and started worshipping their ancestors’ technology. Like the Ewoks worshipping C-3PO, or the desert people worshipping the spacesuit in Doctor Who‘s “Planet Of Fire.” There’s usually an undertone of “See? This proves religion is teh stupid.” Also horrible: robots worshipping the people who made them, or aliens worshipping humans. Or aliens worshipping Ferengi. 2. The cheap Jesus. There’s nothing wrong with having a messianic figure in your science fiction – I’m not trying to take all the fun out of everything here – but don’t just pull the Jesus imagery out of thin air and expect it to mean something. Yes, I’m looking at you, crucified Neo. And I’m looking at you, Jesus H. Baltar. (And even though I love the ending of Doctor Who‘s “Last Of The Time Lords,” I’m also looking at you, floaty cruciform Doctor.) The indispensible TVTropes website has a great list of “random religious symbolism tossed in for no reason” moments. 3. The dumb space gods. Whenever we actually meet a god or gods in science fiction, it’s almost always a letdown. (There are exceptions – Star Trek: Deep Space Nine managed to have our heroes meet the timeless Prophets inside the wormhole, without ever losing their mystique.) Usually, though, when we meet a god or a godlike alien, it’s a cheesy old guy with a funny beard. Or it’s Jodie Foster’s condescending dad. Let me praise Aronofsky’s Noah for its fleshing out of an iconic thin narrative of Noah in the Bible and making it a story. The story of Noah in the Bible is relatively sparse. Noah never says anything. God does all the talking. 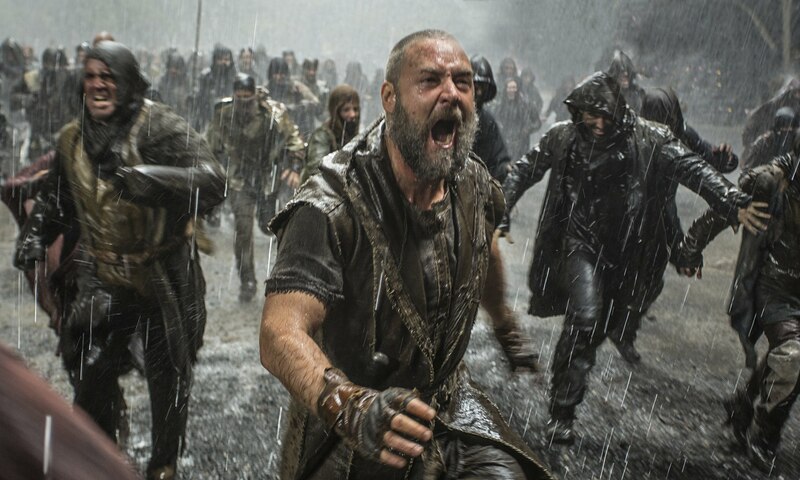 In the movie, well, God may be doing some communicating, but since the narrative is told more from the ground, from Noah and his family’s perspective, Noah is the main character, making choices. Making choices. I think that’s an important thing to highlight. One of the strange ironies of religious life, it seems, is that the closer we get to our God, whomever that may be, the seemingly fewer choices we get–until we are the Hand of God, the Feet of God, the Puppet of God. I don’t think this is really the case. But depiction in movies and books sometimes have us think characters who are devoted to their god cease to think and act based completely on the commands of God. One should add “the interpretation of what they believe to be” between “on” and “the” in that last sentence. Because in many cases, believers have to do a lot of interpreting. The movie holds out that question to answer. Certainly Noah has to decide HOW he is hearing God. He gets parts right—there is going to be a flood. God wants him to build an ark. The animals are going to come and get on board the boat. After that, though, Noah is subject to some speculation and extrapolation when he can’t really hear a clear answer from God.